Featuring: Authors of BC History, geneological groups, historical societies, rare books, and more. The CAHN/ACHN conference is coming up in Toronto, June 11th – 13th, 2014. For further information, see the program at http://cahn-achn.ca/annual-conference/. 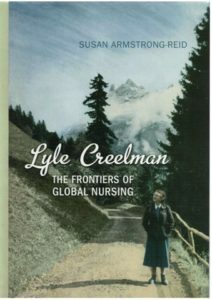 The new book, Lyle Creelman: The frontiers of global nursing, is a thoroughly-researched, well-documented book that explores not only Creelman’s life, but how a single nurse can affect global health history and leave a lasting footprint. The detailed analysis and academic slant make it appealing for scholars of Canadian history, women’s issues, and medical and health history. But the central biographical story will have a wide appeal to nurses across Canada. March 20th, March 27th and April 3rd …check the Knowledge Network website for specific times. 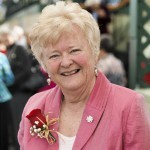 Sharron Higgins jump started the health promoting schools movement in the Capital Regional District and in British Columbia. 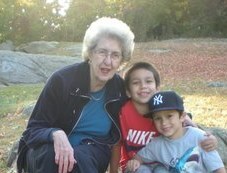 With a strong career as a Public Health Nurse she encouraged many school and community workshops on the nature of inclusiveness, engagement, and community development. Sharron worked collaboratively in SD 61 to foster a Comprehensive School Health model within the education community. In many school districts in BC, educators from various disciplines followed Sharron’s leadership that would benefit many children and families in the ensuing years. In this 60th Anniversary year of the Public Health Association of BC, we want to recognize Sharron for her work in this expanded field of public heath nursing practice. Interested students, faculty and the wider UBC School of Nursing community are invited to attend the showing of a documentary film about the early days of the Vancouver Mental Patient’s Association (MPA). The presentation will take place on Monday, February 24th, 1-2:30 in the UBC School of Nursing, UBC Hospital in room T182. The documentary is about the early days of the MPA, a group that was formed in 1971 by former mental patients, activist health care workers and allies. Members of the founding group were instrumental in making the film which will be introduced by the executive producer and visiting Professor Dr. Megan Davies from York University. A panel discussion follows the film and includes founding member Jackie Hooper who will answer questions.